The jackrabbit program is aimed at children ages 6 through 9. 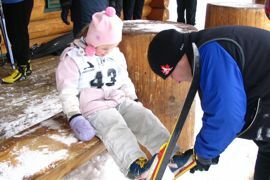 The emphasis of the program is for children to develop ski techniques in a fun environment. 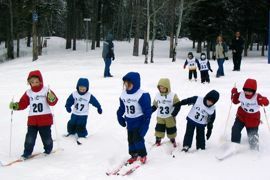 Children are taught basic cross country ski skills, both classic and skating. 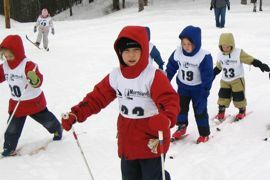 The program is designed to instill a lifelong enjoyment in the sport of cross country skiing. 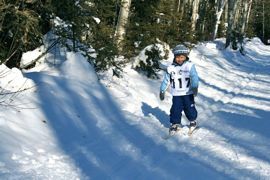 In addition, children develop confidence, ski and socialize with other skiers their age, build on their overall motor skills development, and above all, have fun! 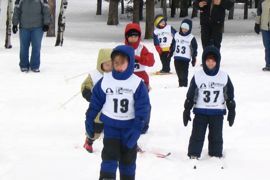 The PNSC has skis available for jackrabbits to use during the season. There is a $50 deposit for the skis, which is returned at the end of the season when the skis are returned. This includes skis, boots and poles.